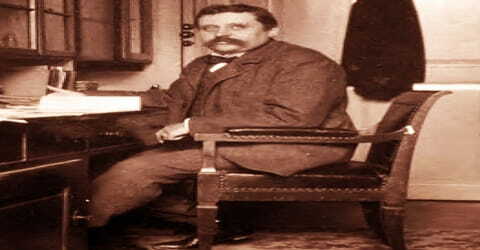 Alfred Werner – Swiss chemist. A Swiss chemist and winner of the Nobel Prize for Chemistry in 1913 for his research into the structure of coordination compounds, Alfred Werner was born on 12 December 1866 in Mulhouse, Alsace (which was then part of France, but which was annexed by Germany in 1871). Werner developed the basis for modern coordination chemistry. He was the first inorganic chemist to win the Nobel prize, and the only one prior to 1973. Before him, the study of concepts such as valence bonding and geometry in metal amine complexes was confusing. Werner revolutionized the fields of inorganic chemistry and stereochemistry. His work has found applications in many fields such as organic chemistry, analytical chemistry, biochemistry, geochemistry, and mineralogy, and thus he demonstrated that stereochemistry is not limited to organic chemistry but is a general phenomenon. As a researcher, he was dedicated to his work and earned the reputation of a hard taskmaster. Outside the lab, he was a sociable man who dabbled in a game of billiards, chess, or the Swiss card game, Jass with his friends. He traveled extensively for his lectures and scientific meetings and loved holidaying in the mountains. He was a gifted speaker and was known to provide convincing and clear explanations of problems. During his short life, he published numerous papers on his research that drew both praise and criticism. 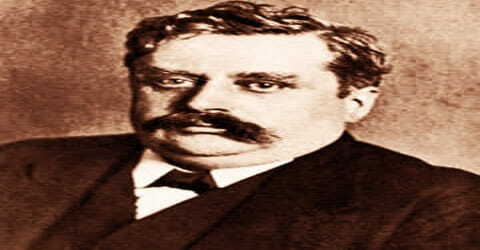 He was a recipient of numerous honors and memberships to renowned societies. 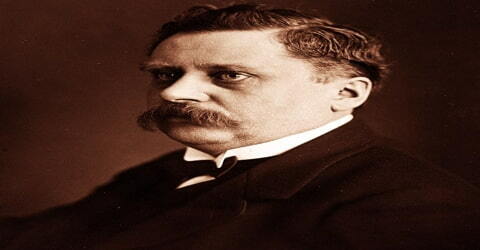 Alfred Werner was born on December 12, 1866, in Mulhouse, Alsace in France. He was the fourth and youngest child born to Jean-Adam Werner and his second wife, Salomé Jeanette Tesché. His father worked as a foundry worker and was a former locksmith whereas his mother hailed from a wealthy family. He was raised as Roman Catholic. At the time of his birth, Alsace was annexed by Germany but his family continued to speak French. His political and cultural sympathies were with France which induced a spirit of rebellion and resistance in him. Although Werner’s later interest in religion was minimal, his family was Roman Catholic, and he attended the École Libre des Frères (1872-78), followed by the École Professionelle, a technical school where he studied chemistry (1878-85). He spent one year (1885-86) of compulsory military service in the German army at Karlsruhe, where he audited chemistry lectures at the Technische Hochschule. In 1886, Werner joined “Eidgenössisches Polytechnikum” (Swiss Federal Institute of Technology) in Zurich and obtained a Diploma in Technical Chemistry in 1889. He received his doctorate in 1890, from the University of Zurich, because the Polytechnikum was not authorized to grant doctorates until 1909. His thesis dealt with the spatial arrangements of the atoms in molecules containing nitrogen. In 1894, Alfred Werner married Emma Gieskerand and became a naturalized Swiss citizen thereafter. A son, Alfred and a daughter, Charlotte were born to them. 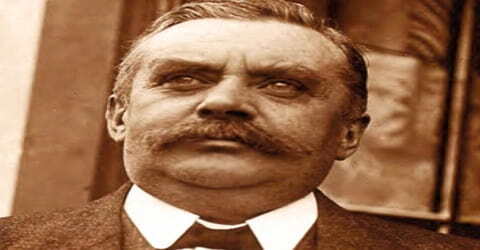 His health began to deteriorate at an early age and by 1913, he was suffering from arteriosclerosis of the brain which was further aggravated by his excessive drinking and long working hours. The condition forced him to give up his general lectures in 1915 and in 1919, he gave up his Professorship. After getting his Diploma, Alfred Werner got a job of an Assistant in Professor Georg Lunge’s laboratory at the Zurich Technical High School. His collaboration with Professor Arthur Hantzsch yielded his first research publication, ‘Überräumliche Anordnungen der Atome in stickstoffhaltigen Molekülen’ (1890), which was also his doctoral dissertation. Werner’s first publication, a cornerstone of stereochemistry, based on his doctoral dissertation and written with his research supervisor, Arthur Hantzsch, applied Joseph-Achille Le Bel and Jacobus Henricus van ’t Hoff’s concept of the tetrahedral carbon atom (1874) to the nitrogen atom. It explained numerous cases of cis-trans isomerism among trivalent nitrogen compounds such as the oximes, led to the discovery of new isomers and placed the stereochemistry of nitrogen on a consistent theoretical foundation. During the winter semester of 1891-92, Werner worked on thermochemical studies at the Collège de France in Paris with Marcellin Berthelot. Werner’s second theoretical paper (1891) his Habilitationsschrift (an original article that was a requirement for teaching at a university) took a stand against August Kekulé, the supreme architect of structural organic chemistry: It replaced Kekulé’s focus on rigidly directed valences with a more flexible theory that viewed affinity as a somewhat cloudlike, attractive force emanating from the center of an atom and acting equally in all directions. During the winter of 1891-1892 Werner worked on thermochemical studies at the Collège de France in Paris with Marcellin Berthelot, but then returned to Zurich to become a privatdocent (unsalaried lecturer) at the Polytechnikum. For a brief period, he worked on thermo-chemical studies with Marcellin Berthelot at the “Collège de France” in Paris but later returned to the Technical High School as a Privatdocent (unsalaried lecturer) in 1892. While working on his thesis, he laid the groundwork for his work on spatial relationships of atoms. His third, and perhaps most important, technical paper, ‘Beitragzur Konstitutionanorganischer Verbindungen’, was published in 1893 in which Werner had proposed the basic postulates of his coordination theory. It was based on a “dream” where he came up with the solution to “molecular compounds”. The article, conceived despite his limited knowledge of inorganic chemistry, made him an overnight success. Although his knowledge of inorganic chemistry was extremely limited, Werner awoke one night in 1892 at 2:00 AM with the solution to the puzzle of what was then called “molecular compounds.” He wrote his most important theoretical paper by 5:00 PM. It brought him almost instant fame and an appointment as extraordinarius (associate) professor at the University of Zürich, where he spent the rest of his career. In 1894 he became a Swiss citizen and married Emma Wilhelmina Giesker, with whom he had two children, Alfred and Charlotte. An enthralling lecturer and prolific researcher, he was promoted to full professor in 1895. Alfred Werner discarded Kekulé’s distinction between “valence” compounds, which are eminently explainable using classical valence theory, and “molecular compounds,” which are not. Werner proposed a new approach in which the configurations of some compounds metal -ammines (now sometimes called “Werner complexes”), double salts, and metal salt hydrates were logical consequences of their coordination numbers (a new concept) and two types of valence, primary and secondary. For compounds having coordination number six, he postulated an octahedral configuration; for those having coordination number four he proposed a square planar or tetrahedral configuration. His “ionogenic and nonionogenic” bonding concepts predated the currently used models of electrostatic and covalent bonding by a full generation. His ideas encompassed almost the entire field of inorganic chemistry and even found application in organic chemistry, analytical chemistry, and physical chemistry, as well as in biochemistry, geochemistry, and mineralogy. Werner was one of the first scientists to recognize that stereochemistry was not limited to organic chemistry, but is a general phenomenon. His coordination theory exercised an influence over inorganic chemistry comparable to that of the ideas of Kekulé, Archibald Scott Couper, Le Bel, and van ‘t Hoff over organic chemistry. In modern terminology, Werner’s primary valence corresponds to the oxidation state, and his secondary valence is called coordination number. The Co-Cl bonds (in the above example) are now classed as ionic, and each Co-N bond is a coordinate covalent bond between the Lewis acid Co3+ and the Lewis base NH3. Although today it is known that electronic configuration is the underlying basis for chemical periodicity and the periodic system, Werner (in 1905), relying only on intuition, his vast knowledge of chemistry, and his recognition of analogies among elements, devised a “long form” of the Periodic Table, in which the lanthanide elements (inner transition elements or “rare earths” having atomic numbers 58 through 71), occupied a separate place in the table a characteristic of all modern tables. After almost 25 years of research, Werner discovered not just coordination compounds, but also numerous unknown compounds that aided his theory. In 1913, his research into the structure of coordination compounds earned him the Nobel Prize in Chemistry. The following year, he was awarded an honorary doctorate in technical sciences by ETH Zurich “in honor of his outstanding work in the field of general chemistry, which also seems to promote technology”. Alfred Werner is often called the “founder of coordination chemistry” and his contributions in the field of stereochemistry are insurmountable. His proposal of the octahedral configuration of transition metal complexes was awarded the “Nobel Prize in Chemistry” in 1913 making him the first inorganic chemist to win the prize. On November 15, 1919, Alfred Werner breathed his last at a relatively young age of 52. He died in Burghölzli, a psychiatric hospital in Zurich, Switzerland, a few weeks short of his 53rd birthday. He was not only the founder of modern inorganic stereochemistry but also one of the most brilliantly innovative chemists of all time. Werner’s most significant work lies in the field of coordination chemistry. He was the first person to propose that coordination compounds containing complex ions could have correct structures. With this insight, chemists could rationalize the number of isomers of coordination compounds which led to new fields of research in organic chemistry. He also finds a place in the history of the periodic table. In 1905, he separated the lanthanide elements (atomic numbers 58 -71) from others and reorganized the table which is used even today. Alfred Werner published two books in 1904, ‘Neuere Anschauungen auf dem Gebiete der anorganischen Chemie’ (New Ideas in Inorganic Chemistry) and ‘Lehrbuch der Stereochemie’ (Textbook of Stereochemistry). Werner was a member of many prestigious organizations namely the “British Chemical Society” (Foreign Member), “German Academy of Science”, and “German Bunsen Society for Applied Physical Chemistry”.